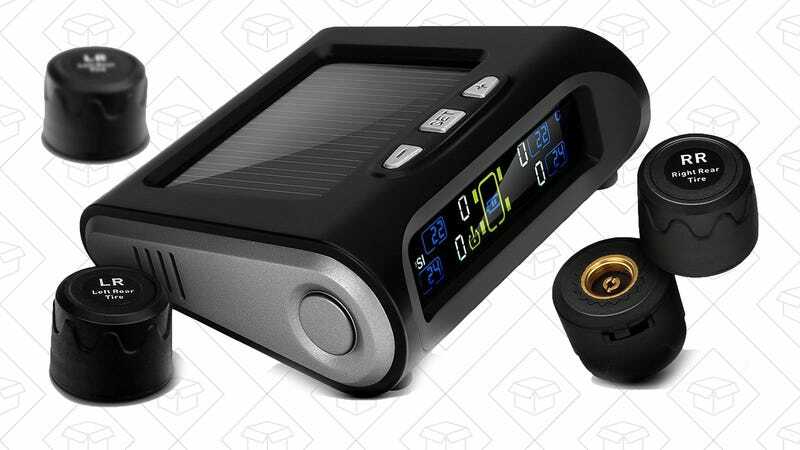 This one from Fullele includes four wireless transmitters and a receiver with a built-in solar panel, so you don’t even have to plug it into your car’s DC outlet (though you can if you need to). You’ll see a real-time PSI reading for all four tires, so you’ll know when it’s time to top them up. Use promo code AXAQK83B to get it for $62.